Most student veterans are unable to finish their degree within the 36-month GI Bill limitation, and while Hazlewood benefits help fill the gap, these non-traditional students still struggle financially. In addition, many spouses of veterans also plan to attend college, but financial limitations often make this goal nearly impossible. Student veterans attending Texas A&M bring notable strengths to the classroom, the community and our country. Establishing an endowed scholarship for veterans and their spouses will make a lasting impact that will serve all future generations of veterans who want to wear the Aggie Ring. Aggie Veteran Freedom Scholarships are the premier veteran scholarships that exist to assist those students who have demonstrated exceptional leadership and sacrifice and will provide the largest annual award. You can fund an Aggie Veteran Freedom Scholarship with an endowment of $100,000* and defray the cost of tuition and expenses by $4,000 each academic year. Aggie Veteran Patriot Scholarships exist to provide deserving students with demonstrated financial need a substantial annual stipend. You can fund an Aggie Veteran Patriot Scholarship with an endowment of $50,000* and defray the cost of tuition and expenses by $2,000 each academic year. Aggie Veteran Honor Scholarships serve as the foundation for the veteran scholarship program and may be funded with an endowment of $25,000* and defray the cost of tuition and expenses by $1,000 each academic year. * All scholarships are payable over five years. An individual or group can establish any of the three Aggie Veteran Scholarships with a gift that can be paid over a period of up to five years. 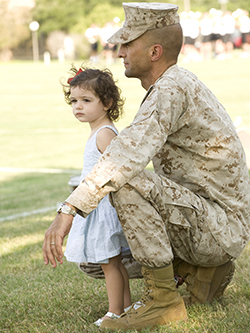 You can also create a future veteran scholarship through a planned gift. Fund your scholarship with cash, securities, real estate or corporate matching gifts. Name your scholarship in memory or honor of a person, class or organization. This scholarship provides a student with a yearly stipend. Once the student graduates, a new student will benefit from your scholarship. Because Aggie Veteran Scholarships are endowed, they will support veteran students and their families forever. Aggie Veteran Scholarship endowments are managed by the Texas A&M Foundation, while the funds are awarded by the Veteran Resource & Support Center. Aggie Veteran Scholarships may also be awarded to deserving students who are the spouse of a veteran. Veteran spouses often find themseves with few resources, a challenge we’re helping combat.